As a firefighter/paramedic with nearly 35 years experience, Louis C. Farah tells the story of his career from a perspective that has rarely been revealed before. 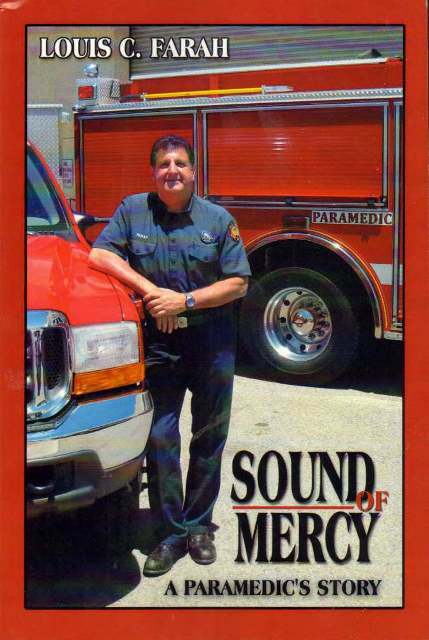 Sound of Mercy: A Paramedic's Story shows what it’s really like to be in the trenches of emergency medical services. More than just an expose of what happens during medical emergencies, Farah calls upon his personal experiences to accurately describe the gut-wrenching emotions, internal fears, and heart-stopping moments that paramedics, who are called upon to risk their lives so others may live, face on a daily basis. This story is not for the faint-of-heart, nor is it sugarcoated in any way. It is real life presented without holding back any punches. Farah’s experience involves working three completely different paramedic careers at the same time. He works in a variety of rescue ambulances in a busy, mostly suburban county; he works in a dual-function capacity as a firefighter / paramedic assigned to either a rescue squad or a fire engine; and perhaps most courageous of all, he dangles hundreds of feet out of a helicopter performing daring rescues as a search-and-rescue flight paramedic. Unlike what is portrayed on television and in the movies, the life of a paramedic is not all glamour and heroism. The reality is not everyone lives, and this is a reality paramedics face every day as they are constantly taken to their limits trying to save lives.